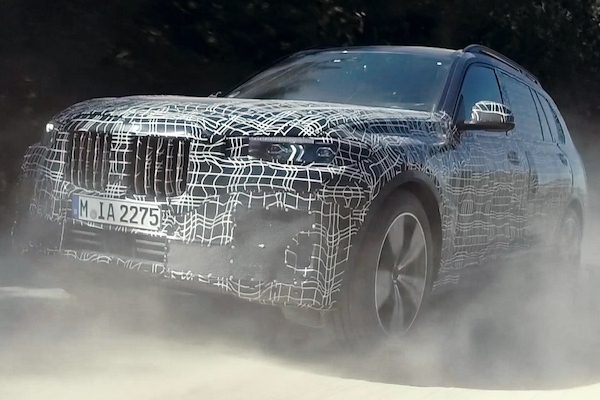 Here's your first look at BMW's upcoming full-size crossover. 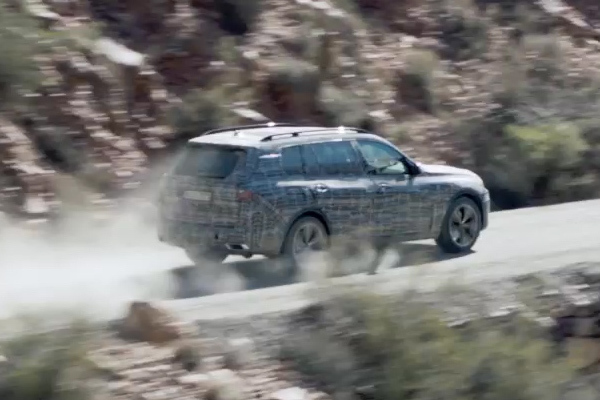 On Friday, BMW released a sneak peak of its upcoming full-size X7 crossover in a trailer showcasing the vehicle in a variety of landscapes, some with challenging terrain. 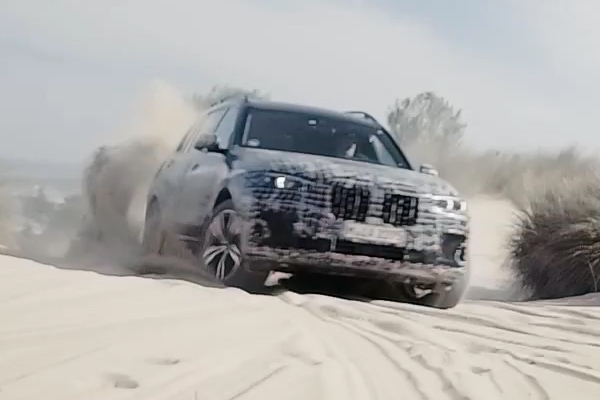 In a short promotional film for the X7, the vehicle is depicted undergoing hot-weather testing in the deserts of South Africa and winter trials in Arjeplog, Sweden, slinging up loose sandy and snowy surfaces respectively. When it launches, it will be the new top-shelf four-door option for BMW crossover customers, above the current X5 and akin to BMW's flagship 7-Series sedan. 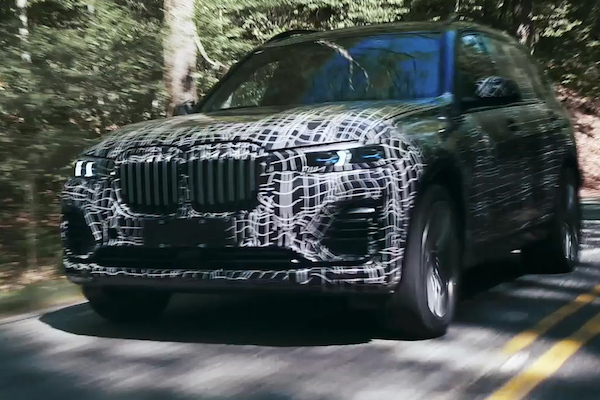 BMW offered nothing in the way of technical specifications for the X7, promising only a full, un-camouflaged reveal some time during the fourth quarter of 2018. However, the X7 iPerformance concept rendering released in April for the Beijing Auto Show spoils the surprise, suggesting the direction BMW will take the production vehicle's styling. BMW filed for a trademark for the iX7 name in February, suggesting the automaker could manufacture a hybrid version of its new range-topping crossover. Trademarks also suggest the X7 could receive an X8 counterpart styled to look like a coupe, similar to the X5-derived X6. 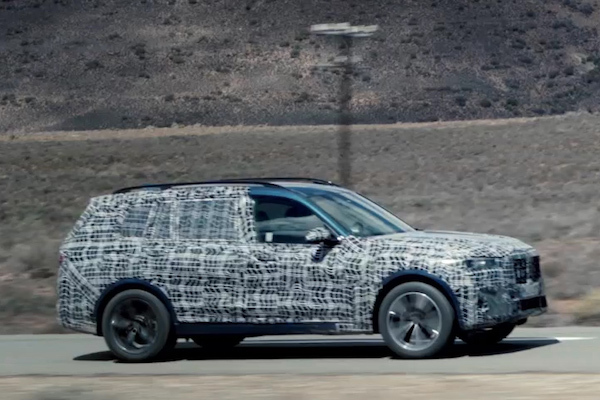 Pre-production test mules of the X7 began to surface in December of 2017 when the first prototypes left BMW's factory in Spartanburg, South Carolina, the facility where the automaker will manufacture the X7. BMW confirmed to The Drive in July that employment and production at said plant will be unaffected by the automaker's $1.17 billion facility planned for construction in Hungary. The Drive reached out to BMW for additional information on the X7, and we will update when we receive a response. As Ford prepares to kill off its sedans in the America, their replacements might look something like this. BMW M boss Frank van Meel reportedly said there just isn't a big enough market for such a car. BMW will plop its new factory in the midst of its suppliers and a qualified workforce capable of churning out 150,000 vehicles annually. This will be the automaker's first of three electric vehicles that hits the road by 2020.